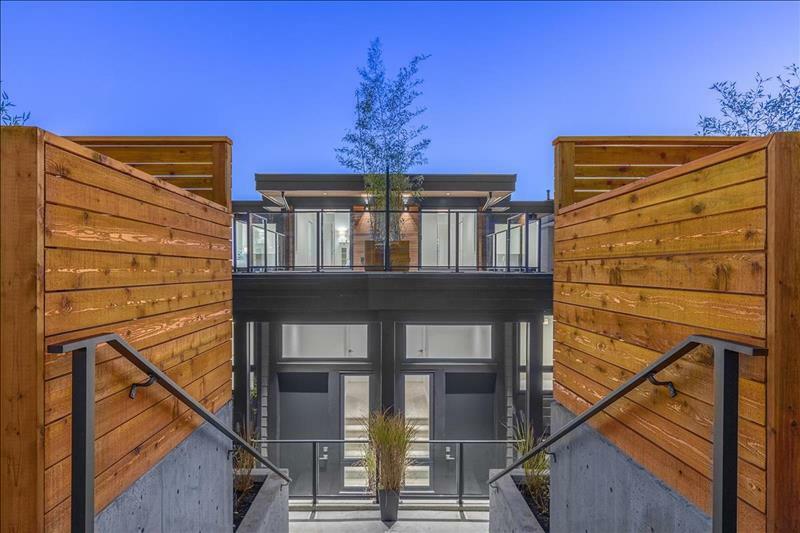 GEORGIA AWARD WINNING DEVELOPER CREATES A MODERN DUPLEX JUST STEPS TO NORTH VANCOUVER'S VIBRANT LOWER LONSDALE QUAY..
A sensational modern Duplex Development by one of Vancouver's most respected Georgie Award Winning Architect's and Developers offering south facing city views on a quite tree lined street just steps to the most sought after newly developed Cascade By the Sea Waterfront Park with its many trendy restaurants, coffee shops and vibrant neighborhood lifestyle. 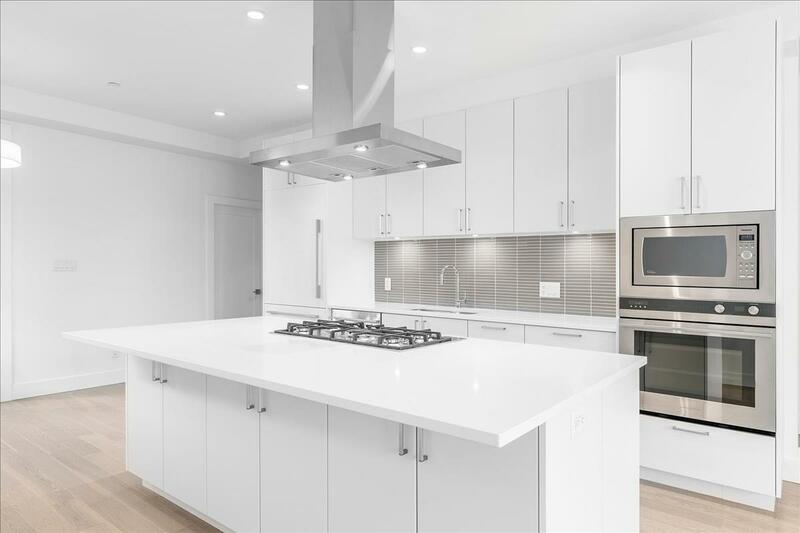 This stylish development offer two four bedroom side by side duplexes both with a privately situated one bedroom full legal suite providing a generous income for a young family as well as an attractive income stream for a sophisticated real estate investor. 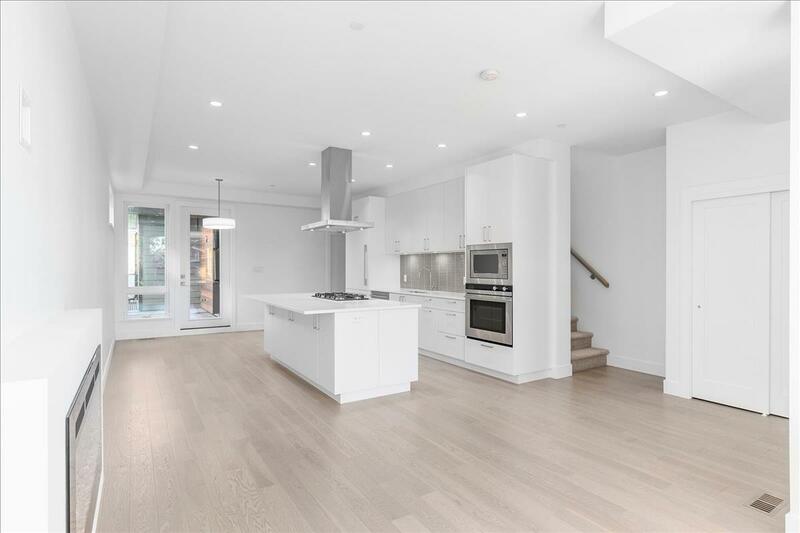 This unique and innovative design provide an expansive and spacious main floor plan a modern kitchen featuring all top grade fisher Paykal appliances and a large entertainment quartz island together with an adjoining family room and dining area together with a walk out privately situated terrace ideal for summer BBQ's and outdoor dining. 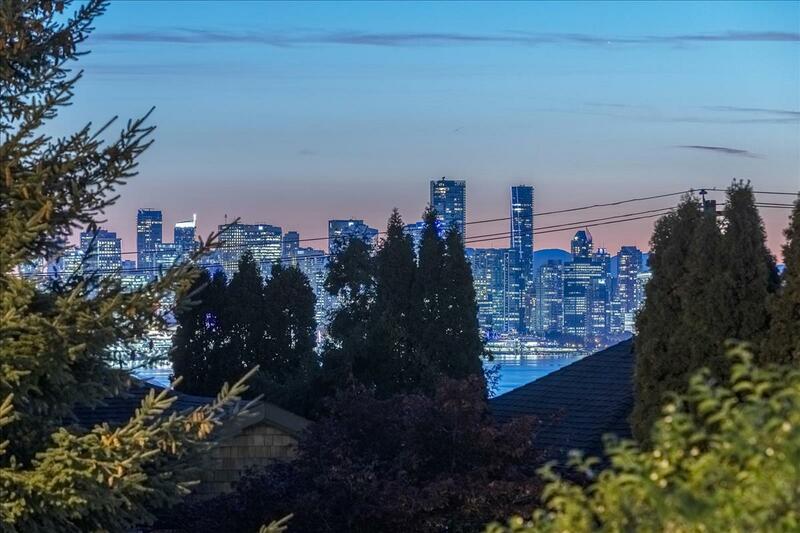 Upstairs a south facing master bedroom with city views and private en suite bathroom with private terrace in addition to two ideally situated children's bedrooms with private terrace and mountain views... 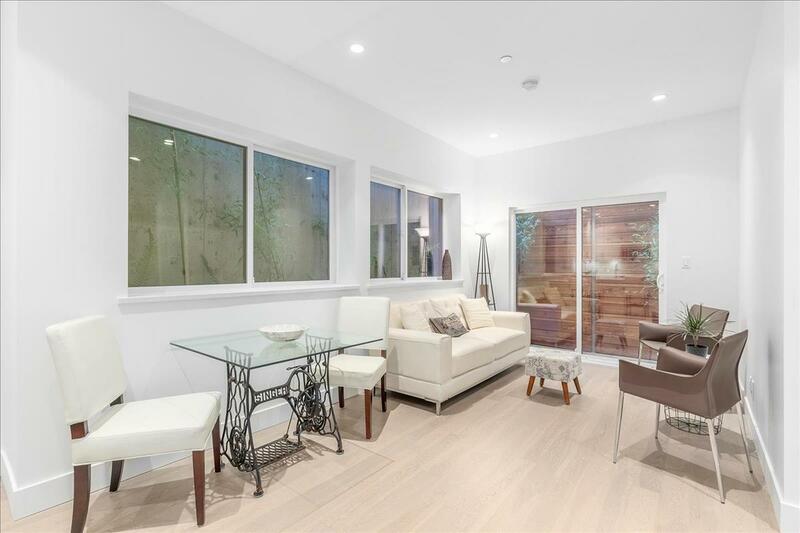 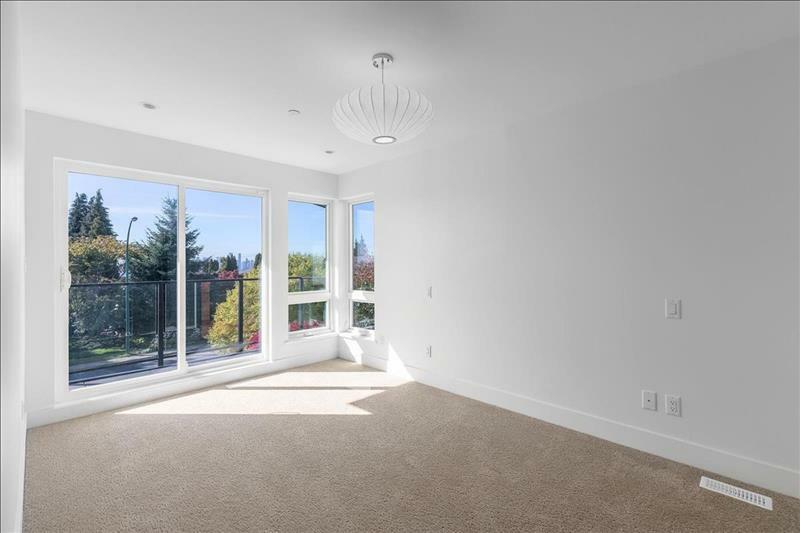 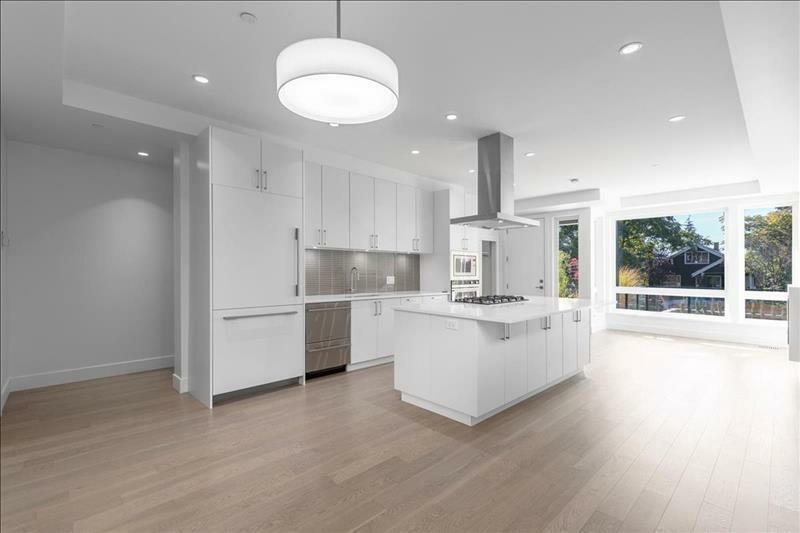 The lower level provides a spacious recreation room with nine foot ceilings, additional bedroom and bathroom and access to a private lower level terrace.. 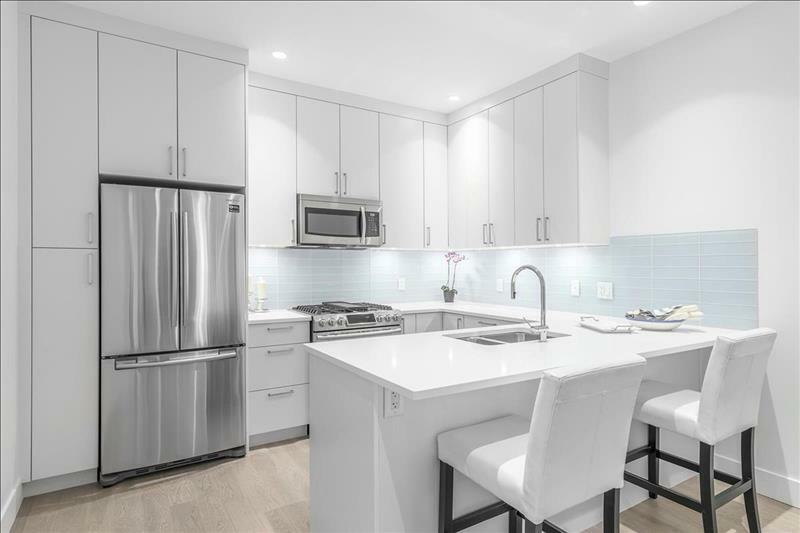 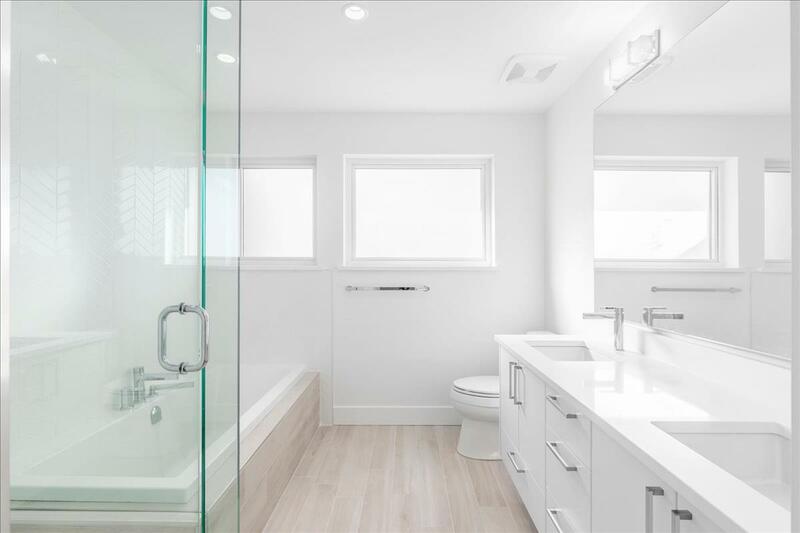 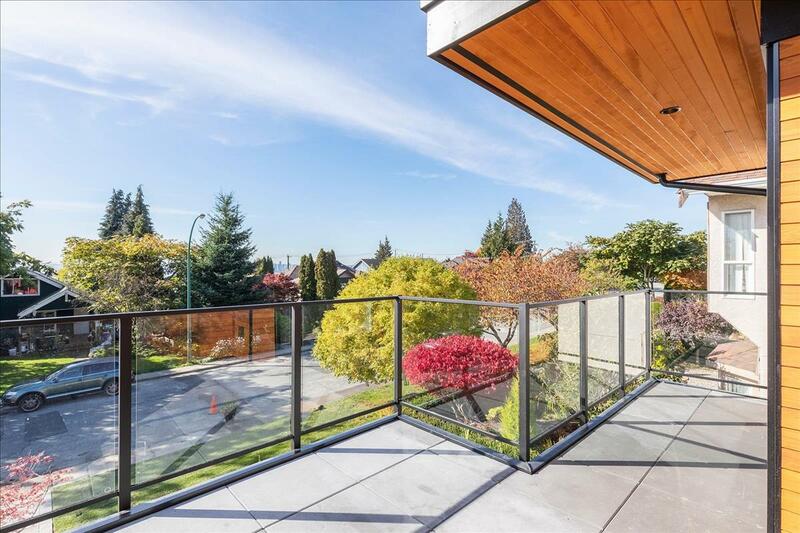 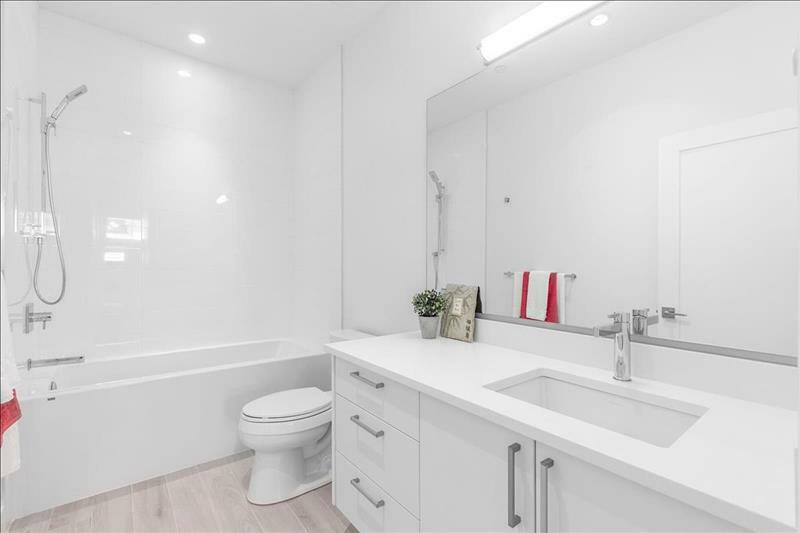 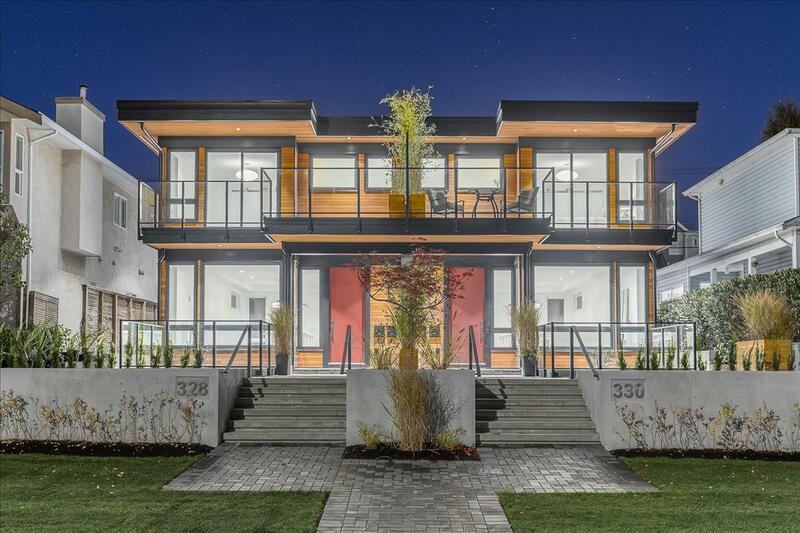 This unique and innovative design is unparalleled in Lower Lonsdale at such an offering price especially in such a most prized location.